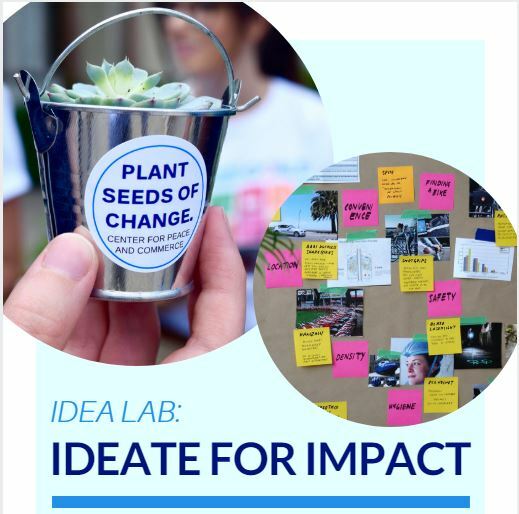 Tuesday, February 19, 2019 from 12:30 p.m. to 2:00 p.m.
Come ideate around an idea for social change. This is an opportunity to work on your idea for social impact, or more deeply understand a problem you are trying to address. No lecture, just time to work on your idea with a great facilitator! This event is passport/compass/connect approved and they'll be lots of food and good people to help get the juices flowing!